Finally, there is a complete RRP Rule Document Package that makes it easy for you to comply with the Lead-Based Paint Regulations! 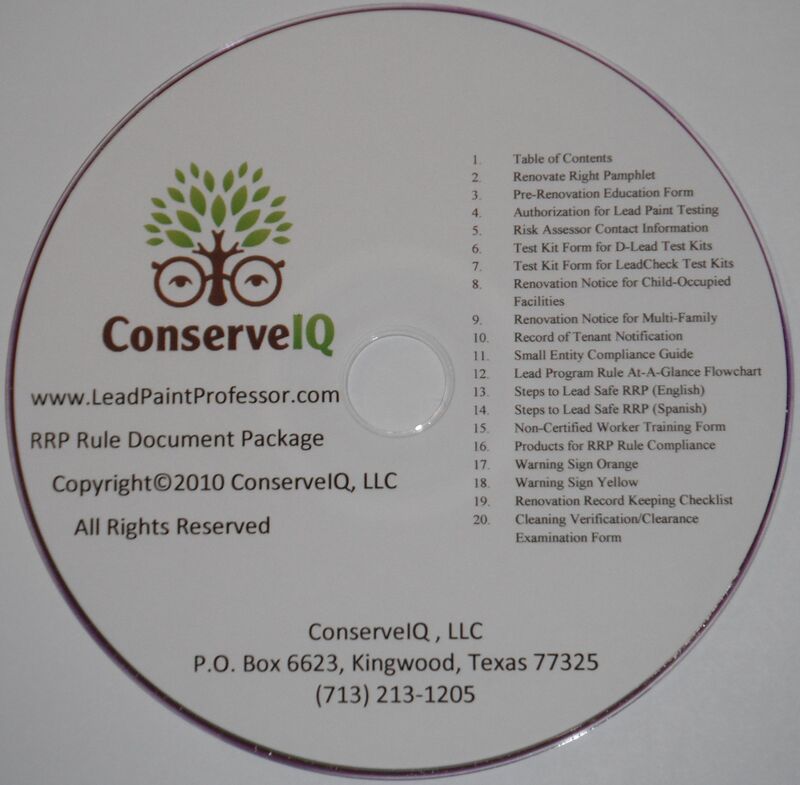 ConserveIQ now has an easy-to-use DVD that provides you all of the required RRP Rule document forms you will need to complete and maintain for three years in case the EPA audits your renovation projects. In addition to a listing of the DVD Contents, there are 19 RRP Rule Documents. This DVD contains all of the forms you will need before the job begins, those you will need during the renovation, and those you will need after the renovation. 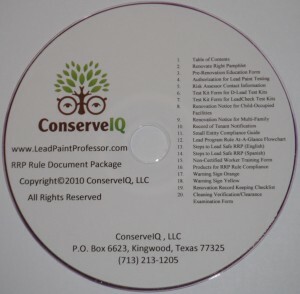 Order your ConserveIQ RRP Rule Document Package DVD today!